If you think that good music and good lyrics are only around back in the days, you’ve probably haven’t been searching hard enough. Tim McGraw’s raw advice lyrics instills good principles and values into the listeners. This would be the great type of song to get the young ones to listen and enjoy it. The music video itself is a work of art, a celebration of life. With so many things happening around us these days, it’s hard to like people singing to do the right thing or always speaking out that they’re happy; but tracks like these won’t bother you – they’re just giving you good advice – Talk Less, Smile More. Always Stay Humble and Kind. 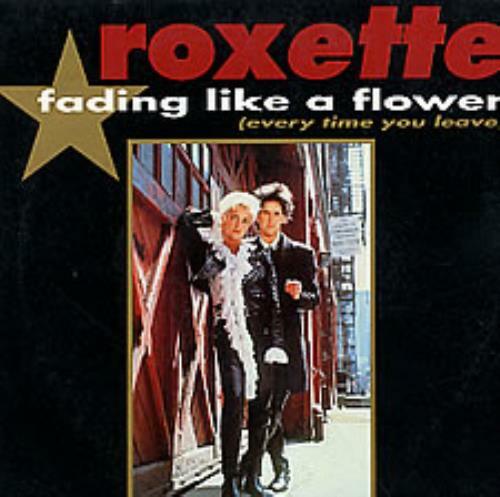 I’ve been listening to the new Roxette album, but honestly it can’t get better than this track. Listening to this song itself transport you to those days the past when you’d melt when you see you’re crush. More importantly, when you start fading like a flower. Ah, good times. Looking back and laugh at those days, because it’s always better today and tomorrow. This song has a little anchor in me because growing up, I’ve always felt like I need to wait for whatever I wanted. I’m not the driven kind of person to chase after something, I take my time analysing every single move I need to make in order to slowly take the shot. I do like doing things right away and I don’t really understand why people hesitate, but when it comes to anything involving emotions – I’m willing to wait for it. Sometimes you change so many times in your life, you revert back to your own self and think – what am I doing? My school years were great, I stayed true to myself as I explore how others think. In college, I had the priority and importance to keep satisfying others, befriend them, be one of them, do whatever it takes to blend in. When I started working, that’s when I understood that I’m just this unique person who doesn’t necessary need to always fit in a group. I can be just simply me and move around as I like. Perhaps there’s more things to learn growing further past my 33 years, but for now I guess I’ll have to “Wait for it”.